So far you have learned how to create a new blog and also how to create a blog post and manage some aspects of the blogger blog’s control panel. Today’s lesson is very important and is the reason why most of the people want to start blogging. Besides having a blog for yourself and sharing your ideas and knowledge in it, you could earn some money from it. You can make money through you blog in many ways. Before I list them out one by one, I would like you to remember the fact that you can only be successful in blogging career until you love it. Blogging is not that writing up some jabber and quick publishing it. It is about creating the content that is unique and most irrelevant to others. Creating unique and interesting content. Applying SEO(Search Engine Optimization) to your blog. SEO plays a major role in helping search engines find your blog on the web and follow updates. You can’t become a professional in one or two days of hard working. You should be re-correcting your mistakes and implement the knowledge on your blog time to time. Ok that’s enough for motivation I think! let’s skip into the topic now, ways to earn through blogger(actually the blogger blog). Earning online is different but is the similar to the way you earn in real world. You can engage all your time in a day on blogging or just few hours. Remember: the more time you engage on it, the more are the chances you could earn handsome amount. Many bloggers are turning into professionals now-a-days, spending full time on only blogging. If you are creating wonderful content and getting a lot of traffic to your blog, you can apply for Google AdSense, which is an inspiration to most of the bloggers. Google AdSense is the best CPC program in the world. There is no other program that pays better than Google AdSense in this blogosphere. Google AdSense is a contextual advertising program owned by Google. This program allows publishers(bloggers) to display ads on their blogs and pays them for it. Advertisers want to promote their products or services on the web. When they contact Google for that, Google shows them Ad spaces on the blogs and websites which are AdSense approved. Advertisers bid for the Ad spaces on your blog and the winner’s Ads are shown on your blog. As you are allowing Google to show up Ads for the incoming traffic, you are paid for it. It is like renting some space on your blog to show up ads and you are paid the rent. AdSense is not just renting space on your blog, it is much more than that. As you are a basic blogger, I would suggest you not to go deep now itself. You’ll understand about AdSense and how it works slowly when you are blogging. Be prepared to apply for AdSense. Be careful when applying for AdSense. How much can you earn through AdSense. Why Google Disables your Account and how to safe guard it. AdWords in total Google Context. Affiliate marketing is the second best source of income for bloggers. Those who got their AdSense applications rejected would like to go with affiliate marketing as a second choice. Digital marketing has revolutionized the eCommerce industry. Affiliate marketing is one of the direct witness for its growth. So what is affiliate marketing? Affiliate marketing is referring a company’s product or service to customers from your side. When the customer buys the product or service, you will be paid some commission. The earnings are up to your potentiality of referring products and services to a customer. The more you refer and make them buy them, the more commissions will you get. Affiliate marketing can also be done along with the Google AdSense. You can earn in dual way by having AdSense on one side and promoting products and services on other side. Remember: You should not place AdSense ads on the pages with only affiliate links. It is against their policies. Be smart! Paid reviews is what exactly it sounds like. You will be paid for reviewing a product or service offered by some other company. You should be careful if your are doing along with the AdSense. No invalid backlinks should be given to the sponsor’s website or product. Stay with AdSense policies. You can also make you earnings through blog by offering Ad spaces on it. 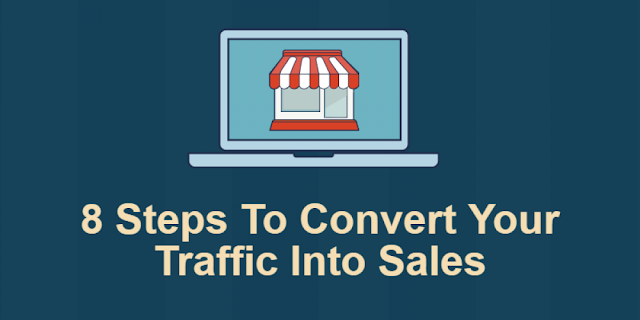 Catching direct customers might be a little difficult unless you are getting huge traffic. Huge traffic can bring you flooded proposals from advertisers. Not only that, low traffic blogs won’t get approved for AdSense. The benefit of selling your own Ad Spaces is that you can set the rates for the positioning of ad and for its various sizes. Unlike Google AdSense, you can get your payments on scheduled times. Ad Spaces can also be sold with these following websites. These handle the risks of payments and acts a good medium of contact between the advertiser and publisher. Blogging is a field of possibilities. You can choose your own earning method. The above are mostly considered methods by many bloggers in the world. All the best! Read all Blogger Basics tutorials.